More than 200 Cambodian fishermen trapped in Indonesia were scheduled to be returned home Thursday morning on a charter Boeing 737 airliner following the intervention of Indonesia’s Fisheries Ministry and Cambodian diplomats in Jakarta. A total of 230 fishermen are set to return from the island of Ambon following negotiations with the PT Maribu Industries Group, a company representing the Thai boats that the fishermen were working on in Indonesia, according to a statement released by the Foreign Affairs Ministry on Wednesday. “According to the demands of the embassy, this company has hired one Boeing 737-900 ER that can load 213 Cambodian laborers to depart from Ambon and arrive in Phnom Penh at 6:00 a.m.,” the statement said, adding that the remaining 17 fishermen will arrive later in the day aboard a separate flight, also paid for by the company. 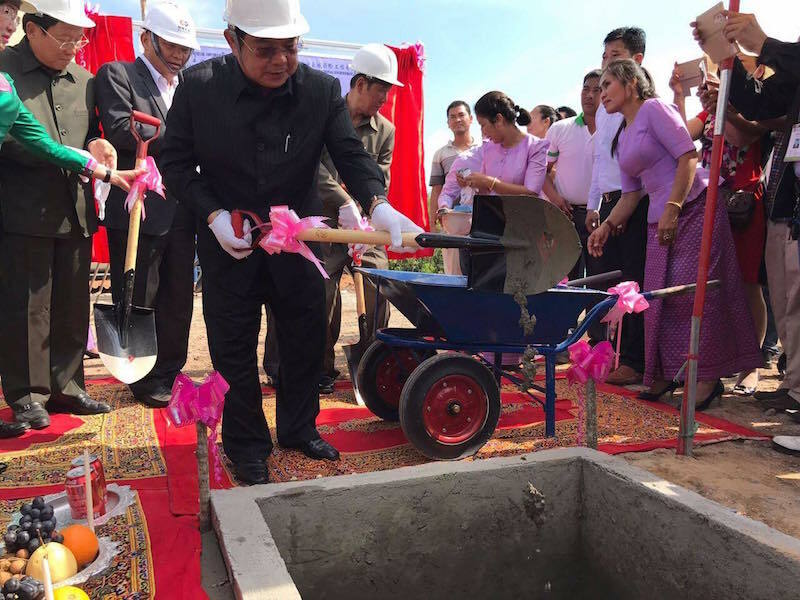 “The company has already settled the salaries of the 230 Cambodian laborers,” the statement added. The group’s return follows the repatriation of nearly 100 fishermen last month from the island of Benjina, which The Associated Press revealed to be the hub for a forced labor operation run by an Indonesian fishing company using Thai-captained boats. Some of the fishermen rescued from Benjia were smuggled from Cambodia into Thailand on the pretext of well-paying jobs and then forced onto fishing boats at gunpoint and made to work for years without pay. They were repatriated with the help of the International Organization for Migration (IOM). Steve Hamilton, deputy chief of mission for IOM Indonesia, said Wednesday that a fishing moratorium imposed by Indonesia’s Fisheries Ministry in November led to the discovery of thousands more migrant laborers who had been forced to work aboard foreign vessels. Mr. Hamilton said “it’s clear” that there are many more migrant fishermen—mostly from Burma, Cambodia and Thailand—still in need of repatriation after being dumped on various islands following the moratorium. Sara Piazzano, country director of the USAID-funded Counter-Trafficking in Persons Project, said that past estimates placed at least 300,000 migrant laborers aboard Thai-captained fishing vessels, many of which trawled Indonesian waters. Am Sam Ath, technical supervisor for rights group Licadho, said Cambodia must also step up its monitoring—especially along the border—to minimize the chances of prospective migrant workers being forced into slave labor aboard foreign-helmed fishing vessels. “We have seen that Cambodia only has mechanisms of rescuing them, but no restrictions on people illegally crossing the border, which is key,” he said.